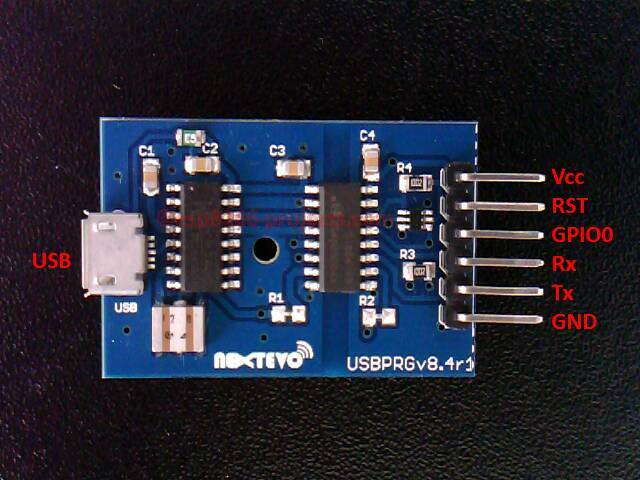 USBPrg v8.4 – a fully isolated SAFE USB to Serial adapter for communcation and programming devices protecting your USB ports and devices. 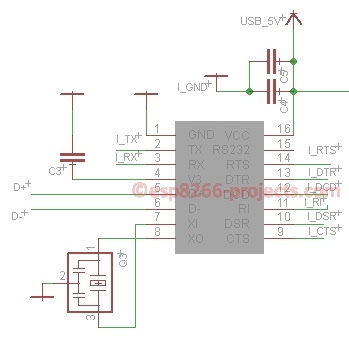 A fully isolated USB to Serial adapter for communication and also programming devices protecting your USB ports and connected devices. 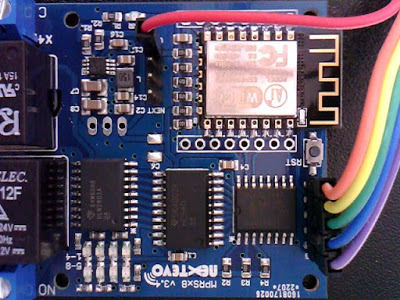 Integrated hardware Autoreset function makes it suitable for direct programming ESP8266, ESP32 and other MCU’s that require it. If you use Arduino IDE/Platformio/etc for example with ESP8266, you will love it, as it doesn’t need to press anymore RST/Prog buttons for new sketch upload! 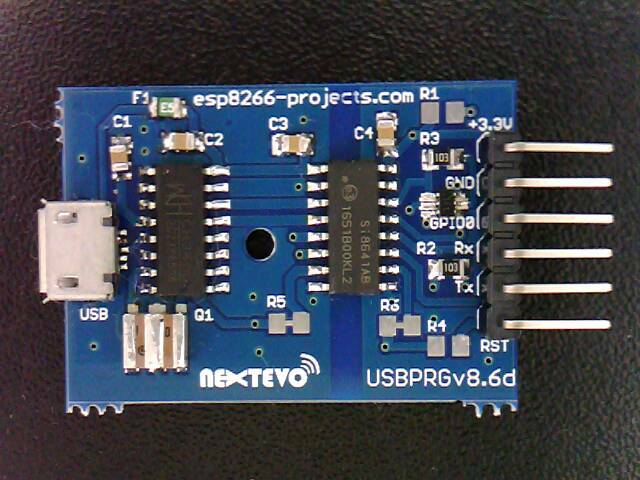 The autoreset function takes care of that, putting automatically the ESP8266 module in the right boot mode. 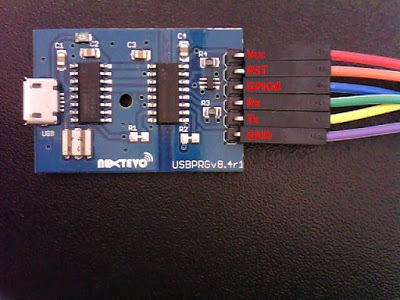 In the case above ESP8266 is embedded on a MPRSx8 Home Automation board but in the same easy way can be used for programming standalone ESP8266 modules. 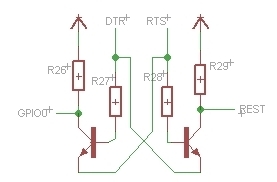 Which chip was used as a digital insulator? 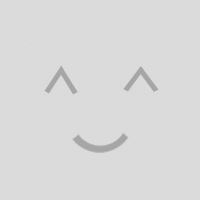 It’s based on a Silicon Labs si86xx dedicated IC. 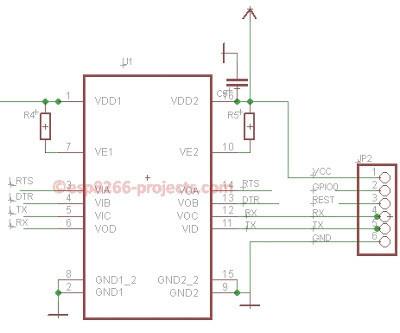 It is working very well and I found it to be a very good solution for isolated USB/serial comunication/programming, offering proper isolation and protecting your user side/PC USB port even in very noisy industrial environments.